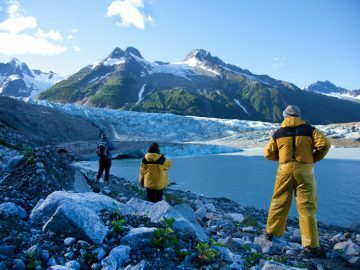 Some of the world’s most remote, untouched rivers, big land, big waters and a big Alaska adventure. Do you know what it sounds like as your boots crunch across a glacier? Have you ever spent time in a territory utterly untouched by human development? Have you been stunned into silence by staggering beauty? Have you wondered what it must be like to float past a pack of wolves beneath 15,000-foot peaks? Shakespeare’s assertion that “Man is the measure of all things” could not have been made by anyone who has spent time in the North. In this land, man is humbled by the sheer mythic proportions of the landscape. Alaska and the Yukon are home to wildlife of the most majestic quality, and the land has provided residence for the Native American tribes of the Athabascans, the Tlingits and much later, the Eskimos and Aleuts. The region is host to grizzly and black bear, wolves, moose, bald and golden eagles, osprey, peregrine and gyrfalcons, as well as the highest peak in North America, 20,335-foot Mount Denali. 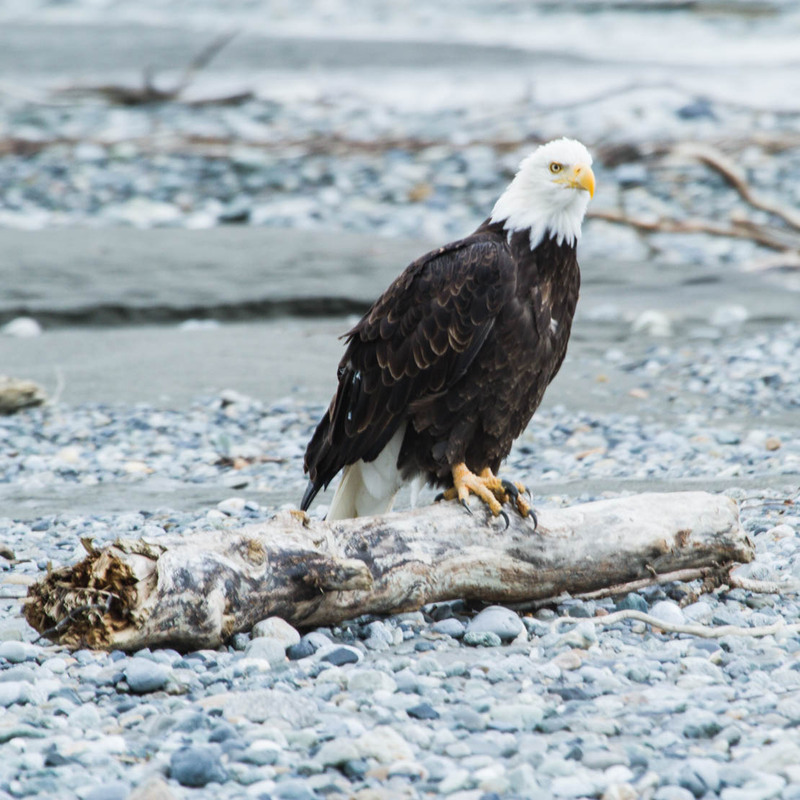 On the coast, Alaska also offers close encounters with puffins, cormorants, oyster catchers and marbled murrelets as well as sea otters, sea lions, orcas and humpback whales. At over 150 miles in length, the Tatshenshini River is surrounded by a system of international parks—British Columbia’s Tatshenshini Wilderness Preserve, the Yukon’s Kluane National Park and Alaska’s Glacier Bay National Park and Preserve. 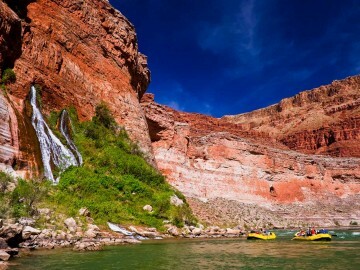 “The Tat” is therefore the largest preserved river system in the world. It also springs from a collection of sources in a glacial region that extends from the northwest corner of British Columbia into the Yukon and Alaska—the largest non-polar ice cap in the world. 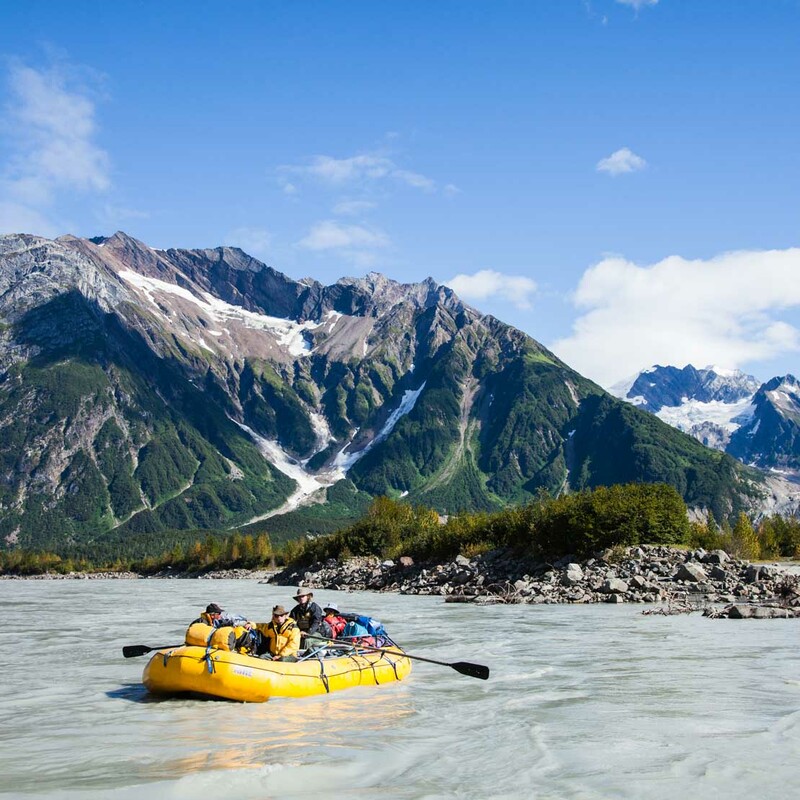 An OARS rafting trip in Alaska is an adventure in time, taking you back to an era before cell phones, cars, or people, where nature resides in delicate balance. 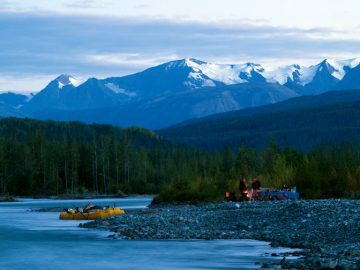 Join us for an inspirational journey along the rugged and remote Tatshenshini River as it flows from the Yukon Territories through British Columbia and into Alaska. While on a 1977 Tatshenshini River rafting trip in Alaska, OARS Founder and President George Wendt, witnessed a vastness even greater in magnitude than the Grand Canyon. It was a profound experience for him to travel approximately 150 miles through territory utterly untouched by human development. ‘The Tat’ was a very different type of river than he had previously experienced, taking him through lush glacier-carved, U-shaped valleys teeming with wildlife. Walking on a glacier certainly offered a dramatic change from the hot desert southwest where he had spent much of his time. He recognized immediately it was a place he needed to share with others. Today, we offer two to three Tatshenshini River trips each summer. We have led more than 500,000 guests to some of the most beautiful places on Earth, never losing sight of one of our foremost goals: to make the joys of the world’s most wild and wondrous places accessible to everyone—no matter how experienced. Our guides are safety-conscious with extensive wilderness experience. 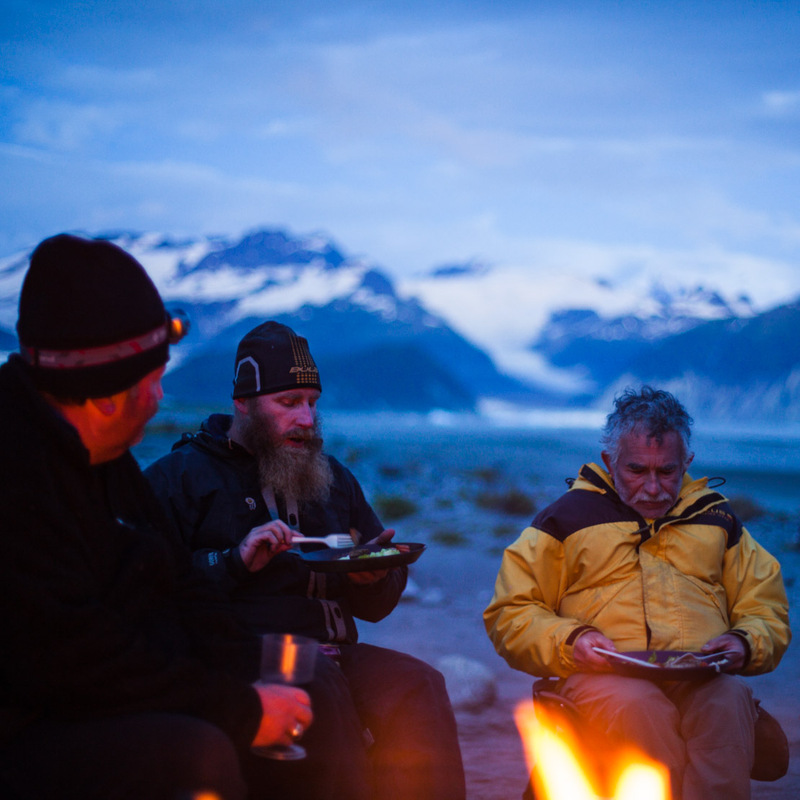 OARS provides the best guide-to-guest ratio in the adventure travel business, thus ensuring your questions are answered and your concerns are given the personal attention you deserve. 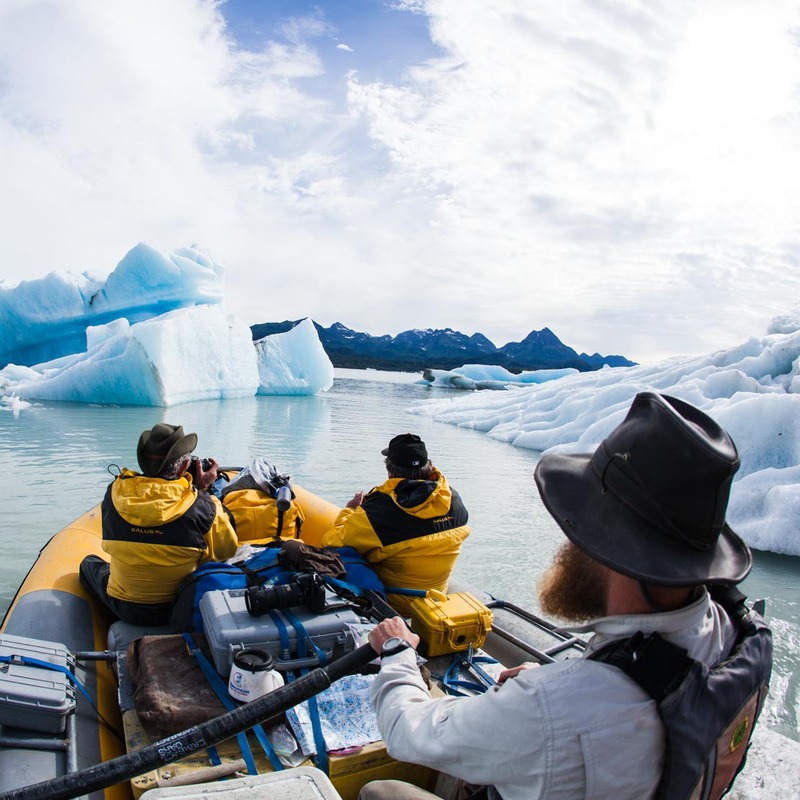 And, our team of friendly and knowledgeable Adventure Consultants are available year-round to answer your calls and help plan your Alaska rafting vacation.